Maria is one of the UK’s leading specialist Abdominal and Pelvic Women’s and Men’s Health physiotherapists, a trained pilates teacher and Pelvic Pain Coach. She practises out of three London Clinics: The London Medical Centre , The New Medicine group, Cione on Harley Street as well as her own practise in Chiswick. Maria is director and founder of ‘Simply Women’s Health’, a 14 year-old physiotherapy practise specialising in restoring physical and mental well being and ‘The Mummy MOT’ a three year-old physiotherapy practise specialising in post-natal recovery. Maria has developed unique and multi-disciplinary treatment programmes that are at the forefront of postnatal and pelvic recovery. She is always dedicated and energetic in her approach to her patients’ recovery. Maria is highly trained in manual therapy for the abdominal and pelvic area. The basis of treatment involves myofascial trigger point release, connective tissue manipulation, lengthening of tight short structures in the pelvic area, abdominal massage to release the diaphragm, improve blood flow to the pelvis and release the pelvic floor. Maria has close links with leading world specialists in the USA and works closely with Medical Consultants and New Medicine Group practitioners to treat CPPS. Maria offers Pelvic Pain Coaching and combines advice on nutrition, exercise, mindfulness and breath work to aid full recovery. She believes in a multidisciplinary, collaborative approach to diagnosis and treatment and works closely with leading specialists in urology, gynaecology and pain management, to offer comprehensive psychological, health and pain support. 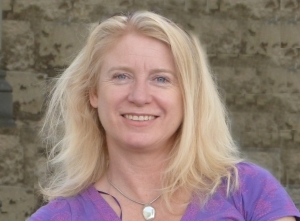 Maria graduated with First Class Honours in Physiotherapy from Trinity College, Dublin in 1986 and since then has practised Physiotherapy in Chicago, France and now in the UK. Maria’s qualifications include membership of the Association of Chartered Physiotherapists in Women’s Health and an APPI Pilates instructor. Trained in France in Post Natal Rehabilitation she now provides a unique and highly effective post natal recovery programme in the UK. Following your assessment consultation, our Consultants in Pain Medicine may refer you to Maria, if they feel Maria is the most appropriate person to assist you with your rehabilitation. Once we have made the referral, a member of Maria’s team will contact you directly to arrange an appointment. 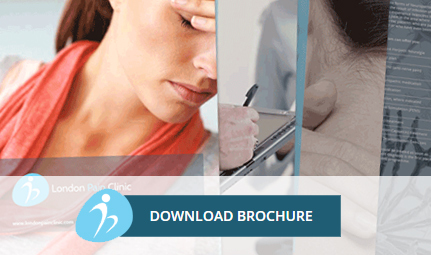 Please note that the London Pain Clinic Group administration team do not administer Maria’s appointment diary.